As you all might have noticed, the once weekly mailbag that would appear on bluejays.com is no more. We at MLB.com used to run mailbags every week during the winter and every other week during the regular season on the club sites, but we’re now headed in a new direction content-wise. That being said, I know there are many fans — not just of the Jaybirds — who loved the weekly Q&A and are probably upset that it’s gone. With that in mind, I plan on trying to do a weekly E-mailbag right here on my blog. For now, let’s tentatively pencil it in for Fridays, since I’m doing one tonight, but I’ll probably move it to Saturday or Sunday once the season opens. Just a question regarding your recent starting rotation posts. Why is it such a given that David Purcey will be one of the Jays’ starters going into next year? He finished 3-6 with a 5.54 ERA, not exactly dazzling numbers. I know there aren’t a lot of options, but if Casey Janssen is anywhere near 2007 form, he’s way ahead of Purcey. Matt Clement was a consistent 3.50-4.50 ERA guy before his injuries. I just don’t think Purcey has done anything yet to be promised a Major League job. Thanks for the articles though, much enjoyed. Thanks, Aaron. One thing to keep in mind is that Purcey’s stats are skewed some by his first few outings. After being inserted into the rotation on a full-time basis, the big lefty went 2-5 with a 4.88 ERA over nine outings. Sure, those still aren’t dynamic totals, but Purcey certainly showed flashes of his promise. Also, take into consideration that he only received 1.4 runs of support in his five losses during that stretch. Purcey isn’t necessarily guaranteed a job in the rotation. All I wrote in the four-part series that ran this week was that he is one of three presumed locks on the staff, along with Roy Halladay and Jesse Litsch. And the only reason I included him in that group was because manager Cito Gaston and general manager J.P. Ricciardi have been saying since the Winter Meetings that it’s his job to lose this spring. Obviously, if — for argument’s sake — Janssen, Clement and Scott Richmond have fantastic showings during the spring and Purcey labors, his stock could fall. As for Janssen’s 2007 form, he was a reliever that season — not a starter. He’s also returning from a shoulder injury, as is Clement, and those can be tricky ailments to rebound from. There’s no guarantee that Janssen and Clement will be back at 100 percent. But, from what the team is saying, they’re ready to compete for jobs. So, basically, it’s only a “given” that David Purcey will be one of the Jays’ starters because that’s what Toronto is saying at this point. Consider that we were only saying Halladay and Litsch were locks when the offseason started. It’s also possible that someone like left-handed prospect Brett Cecil steps up in a big way this spring and forces the Jays’ hand. As for the rest of you readers, feel free to shoot inquiries my way at jordan.bastian@mlb.com. A link to my e-mail is also included at the bottom of each story I write on the team’s web site. And, hey, this doesn’t have to be limited to just roster questions. We can just as easily discuss movies, music or my marathon training, or anything else I deem relevant for that matter, if the Jays don’t have much going on. Some more Minor League contracts were handed out by the Blue Birds today. Toronto inked outfielder Jason Lane and infielder Brandon Fahey to add some more depth and tacked on invites to Spring Training for the pair of players. To date, that’s seven Minor League deals with invitations to spring camp for the Jays this winter. The others were for Mike Maroth, Matt Clement, Michael Barrett, Raul Chavez and Randy Ruiz. No big spending sprees for Toronto, but plenty of low-risk additions to guard against any injury mishaps this spring. Also this week, the Jays dismissed assistant GM Bart Given, who was one of three assistants to J.P. Ricciardi. Given’s duties will be passed along to assistant GMs Tony Lacava and Alex Anthopoulos. The timing of the firing was a bit odd, and reportedly happened on Wednesday — one day after Given was in attendance at the State of the Franchise event. Today on BlueJays.com, I rolled out the first of four stories highlighting the contenders for the Jays’ Nos. 4-5 jobs in the rotation. Today’s story keys in on Casey Janssen, and I’ll follow with stories on Scott Richmond, the reclamation projects (Maroth and Clement) and the prospects (Cecil, Romero, Mills) all being discussed in the rotation competition. As of right now, Ricciardi said Janssen is in the rotation. So, that means it’s Roy Halladay, presumably followed by Jesse Litsch, David Purcey and Janssen. That would leave Richmond to fight it out with Clement/Maroth for the last spot. Then again, Ricciardi said he’s not ruling out a guy like Cecil earning a job. Beyond baseball, this is one of my favorite times of year: Oscar season. I have yet to see all the contenders, but of the one’s I have seen, I definitely recommend The Wrestler, Frost/Nixon, Slumdog Millionaire, Doubt and Gran Torino. I was somewhat disappointed with The Curious Case of Benjamin Button and didn’t think it deserved all 13 of the nominations it received. The Dark Knight and The Wrestler were snubbed big time as well. And, if there are any Flight of the Conchords fans among my readers, did you guys catch Episode 2 of the second season on Sunday night? Hilarious stuff. I got Season 1 over Christmas and have been loving that show. 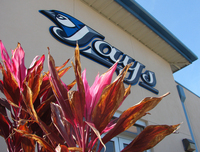 That’s how long remains until the Blue Jays’ pitchers and catchers are scheduled to report to Spring Training in Dunedin, Fla. Mark it down: February 14. That means it’s three weeks until yours truly hops on a plane and jets for the Florida sun, leaving the bitter cold of Toronto behind. It’s been a while since I blogged and, well, I guess you could blame this winter of inactivity on the Blue Jays’ part. There hasn’t been a ton going on, with the exception of a few Minor League contracts (Matt Clement, Mike Maroth, Michael Barrett, Raul Chavez). On Tuesday night, I did head over to the annual State of the Franchise event, which gives season-ticket holders a townhall type setting to hit the Blue Jays’ brass with questions. GM J.P. Ricciardi, manager Cito Gaston and interim prez Paul Beeston were all on hand for the hour-long Q&A. Typically, this event has included a lot of questions about the ballpark — whether it’s concerns about concessions or renovations — or about ticket sales and other off-the-field topics. This year, the questions were nearly all about the roster or the budget, and the lack of moves made by the team this offseason. –Ricciardi said the Jays did not agressively pursue slugger Jason Giambi because, A) it’d make the lineup too left-handed (what?) and, B) it’d take at-bats away from youngsters Adam Lind and Travis Snider. The latter would seem to be the main concern. –It was revealed that, if healthy, Casey Janssen is likely the frontrunner for a spot in Toronto’s rotation. Ricciardi said that would leave Scott Richmond battling out Maroth and Clement for the fifth spot. Then again, the GM added that if a young arm (Cecil, Romero, Mills, for example) steps up in a big way this spring, they could fight their way into a job. –Ricciardi said the Jays are stepping up their scouting overseas and noted that the club is even in talks right now with a Japanese pitcher. –Ricciardi and Gaston both said they’d prefer a “catch and throw guy” for the No. 2 catcher’s job. That being the case, one catcher to monitor this spring is prospect Brian Jeroloman. He’ll be battling Chavez, Barrett and Thigpen for the backup role. –The Jays didn’t ask Halladay to skip the World Baseball Classic, but the team doesn’t mind that he decided against taking part. Gaston and Ricciardi are both hoping the tourney can help hitters like Wells and Rios get off to a hot start, as was the case in 2006. –Beeston emphasized that Toronto’s budget doesn’t have a limit. He said lowering the payroll to $85 million was “an organizational decision” aimed at helping the club break even financially. Once the club gets into a better financial state, it will be able to better afford high-profile players in future offseasons. With the current economy, and the injuries within the rotation, the club felt this season was better used as a way to get better footing financially, while also giving some young players some much-needed experience.